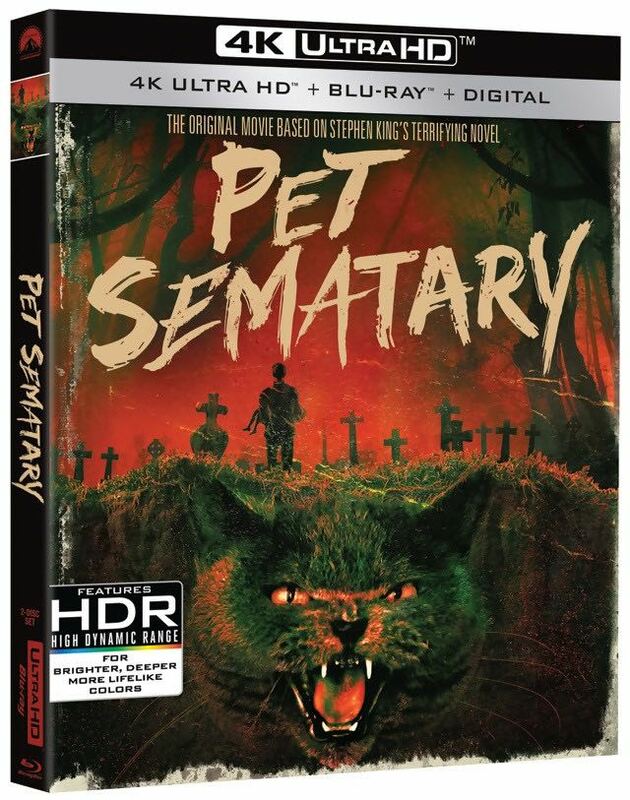 To coincide with its 30th Anniversary –– as well as an upcoming remake –– the original Pet Sematary is being re-released with new packaging, a selection of new & vintage bonus features and, most importantly, a really impressive 4K restoration overseen by the film’s director, Mary Lambert. So even if the timing is obviously intended to capitalize on the growing buzz surrounding the remake, this is a cut above the usual catalog release. Revisiting the film for the first time in years, I was surprised how well it’s aged. Not just the upgraded picture and sound, but the narrative and technical aspects as well, perhaps even prompting some to wonder if it really needed to be remade at all (though that’s never stopped anyone before). Sure, there’s always been some clunky dialogue and occasional misguided attempts at black humor, but despite a few 80s trappings, the film remains as disturbing as it did 30 years ago. Modern viewers –– and maybe some who haven’t seen it in a while –– may not appreciate the impact Pet Sematary had on audiences back then. Having read the book beforehand, I suspected that any adaptation would be forced to pull many of the gut-punches King threw at the reader. Instead, the film ended up being one of the more faithful adaptations of his novels and ventured where most mainstream horror films feared to tread; likely because King himself penned the screenplay and his considerable clout gave him a great deal of creative control. That meant the real horrors of Pet Sematary made it to the screen completely intact. Not the ramifications of resurrecting the dead, but those exploiting every parent’s worst fear: losing a child. Worse yet, losing them suddenly and violently. And just to rub salt in an open wound, the realization that the child’s death probably might have been prevented if we were just a bit more vigilant. Before Lewis Creed makes the fateful decision to bring little Gage back from the dead, the film wallows in his agony, which is tougher to take than any of its more traditional terrors, especially if you’re a parent. Case-in-point: I first saw Pet Sematary in theaters –– long before becoming a father myself –– and was pleased how remarkably faithful it was to the novel. The film took us to some dark places few others did at the time, which I suspect was a major factor in drawing the ire of many film critics (the movie does have a mean streak a mile wide). But after having kids, I was no longer able to sit through it. My empathy for the Creed family’s misery was too overwhelming, forcing me to vividly imagine my own daughters suffering a similar fate. Hence, my VHS copy of the film sat untouched on the shelf for years. As parents, we've all experienced some kind of “close call” involving our kid’s safety, then entertained possible worst-case scenarios if blind luck wasn’t on our side. With no concept of their own mortality, it’s terrifying how fast toddlers can willingly throw themselves in harm’s way when we aren’t looking. But if you're the most protective parent on Earth, that kid is only a faulty car seat away from joining the hereafter. My daughters are older now, having survived the stupidity of babyhood more-or-less intact. Now that it looks like they’ll go the distance, I’m able to once-again enjoy Pet Sematary without all that pesky parental baggage. However, my youngest daughter had to check out once little Gage Creed got pancaked. Though she’s 15 and a seasoned horror lover, the death of a two-year-old (and the suffering that followed) was too much for her to take. Thirty years later, Pet Sematary still has considerable visceral power. The film isn’t without its issues, including some heavy-handed moments (such as the entire funeral scene), clumsy attempts at humor and a performance by Fred Gwynne that borders on camp. 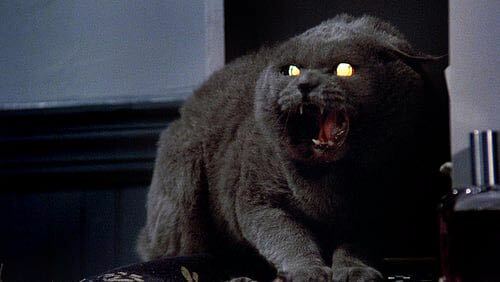 But for the most part, the original Pet Sematary remains one of the darker mainstream horror films of the 80s, fulfilling its promise that things are going to end badly for everyone involved. With a tagline which claims “Sometimes dead is better”, how could it do otherwise?